Do you want to add photo proofing on your site? Sometimes photographers need their clients to view and select photos online, for a faster and more professional process. In this tutorial, we will share how to display photo proofs online for your photography clients. Creating your own website to add client proofing online saves a lot of time instead of holding several physical meetings. 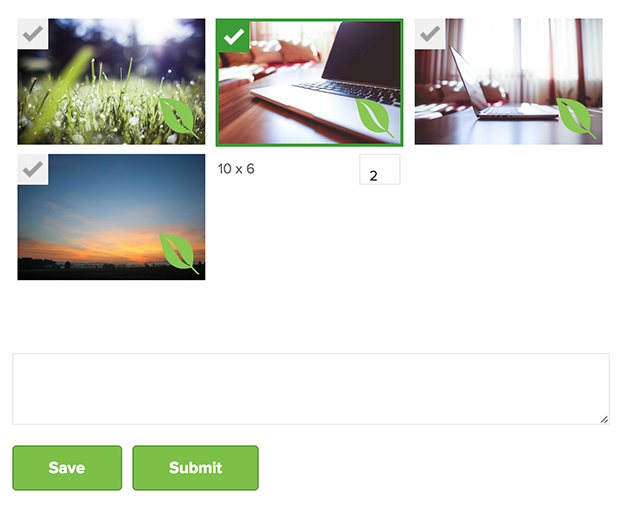 You can use a plugin like Envira Gallery that helps you create a WordPress photo proofing page, and you can add password protection to hide your photos from other regular visitors. 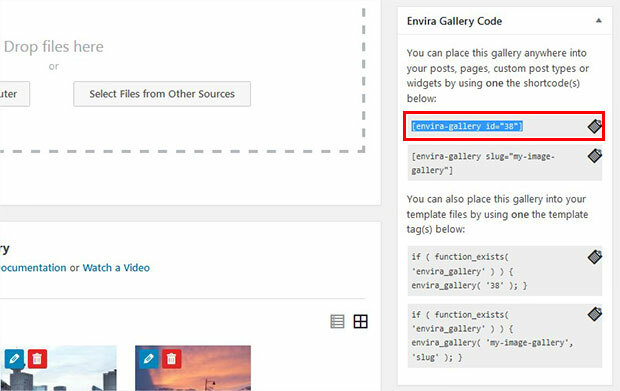 The first thing that you need to do is to install and activate Envira Gallery plugin on your WordPress site. To learn more on this installation, you should check out how to install Envira in WordPress. Upon activating the plugin, you need to go to Envira Gallery » Addons to install and activate the Proofing addon. To access this addon, you must have Envira’s Pro or Ultimate license. You can learn about how to upgrade your license in Envira. 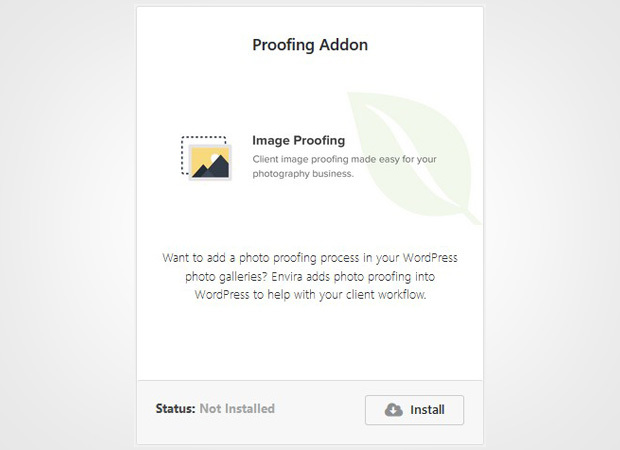 This addon will help your photography clients to proof images online. 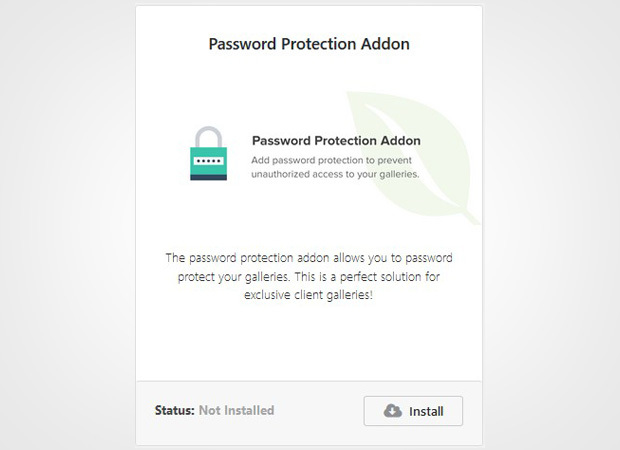 We recommend you to use the password protection addon by Envira to protect your event photos from general audience. You can give the access to the client who owns the photos. Next you should install and activate Password Protection addon. To access this addon, you must have Envira Plus or higher license. This addon will add the password to your image galleries and limit the access to personal visitors. You should check out this guide on how to create a password protected image gallery. Simply go to Envira Gallery » Add New from your WordPress admin. You need to give a title to this new gallery and drop the images in the Native Envira Gallery section. In the Publish widget on the right side of your screen, you should change the visibility of the post to Password Protected and set your password. Next you need to scroll down to Proofing tab and check mark Enabled. The other settings include getting users information, email, and a message. These settings can be modified any time you need. 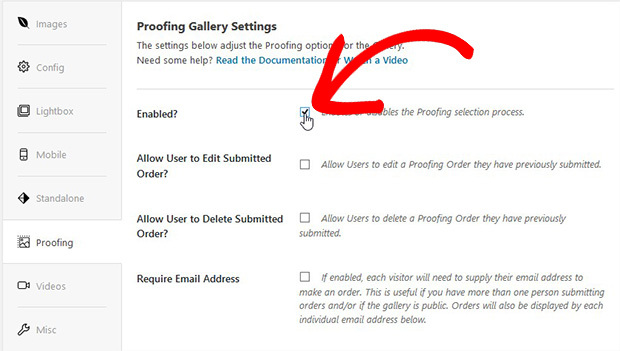 You should also check out this guide on how to make a client proofing page in WordPress. Once you are done with all the settings, you should hit the Publish button and copy the shortcode from the Envira Gallery Code widget. Now go to Pages/Posts » Add New or edit an existing page/post. In the visual editor, you need to paste the shortcode. That’s all. You can visit your site to see the WordPress proofing system for your clients. Check out this live demo of a photo proofing gallery created with Envira. We hope this tutorial has helped you to learn how to display photo proofs online for your photography clients. You may also want to check out our guide on how to allow users to download gallery images in WordPress. In case, your users exit from the site without converting, you should check out this OptinMonster’s powerful exit-intent technology to convert your abandoning visitors into subscribers and customers.